The best karaoke microphone can enhance the prowess of your voice. If you are willing to take your singing to the next level, then you should know the best options you have for these specialized mics. We got it covered in this article, so read on! We love to sing. Wherever we go and whatever we do, we always got that inclination to vocalize our favorite tracks. Sometimes, we are completely aware that we are singing already. Because of it, many of us loves to go to karaoke bars. But there is a good reason to take this little pleasure of ours in the comforts of our homes. Microphones have been wireless for a quite a time already. There is a wired option (which is cheaper). But some people don't like them because they limit their movement. Of course, the wireless options is an obvious contender because it is convenient to use. At the end of the day, it will all boil down to your preference. Thanks to modern technology, karaoke microphones have been widely available on the market today. Their qualities are superb, and they are usable in many applications ,as well (e.g. speaking engagements). The GTD Audio G-622H is a high-quality microphone. You can't find a replica of this device anywhere on the planet today. Because of its features and quality, its price is quite steep, too. However, if the cost doesn't bother you, then this karaoke microphone will give you utmost satisfaction. GTD is a brand known for quality music equipment. In fact, the industry knows them as a premium brand. And they always prove that they are worth the tile by producing excellent audio components. One of their opuses is definitely the GTD Audio G-622H. We are very impressed by the broadness of its frequency range. Furthermore, Its sound quality and clarity are mesmerizing, too. The construction of this microphone is sturdy. It is compact and feels comfortable in your hands. It also got a default mount system that provides protection and stability. Moreover, we love the fact that this microphone has a pop-noise filter to prevent unwanted interferences! It has 100 selectable frequencies for each of its channel. ​Comes with filters to prevent interferences. ​Perfect for recreational and professional application. Can produce feedback in small rooms. It doesn't have an on/off switch. 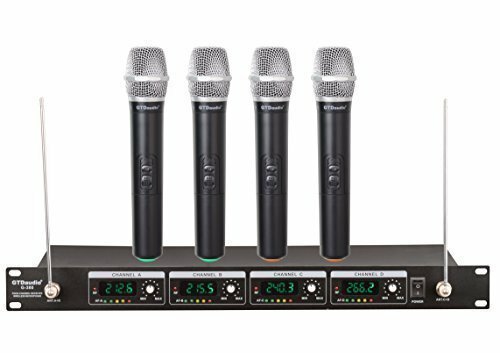 Another Shure product that you should consider is the BLX288/PG58. In fact, many consider this one as the better option compared to the Shure SLX2/SM58. If you want to jive all day and all night, then you have to choose this microphone. Aside from its excellent quality, this microphone also gives the best value to your money. It doesn’t mean that it is the most cheapest. But it can give you more than what you will pay for! The Shure BLX288/PG58 is an indomitable competitor for the best karaoke microphone. It is among the wireless microphones that you can use easily. It doesn’t have a complicated setup. The wireless receivers are easy to operate. Meanwhile, it has an excellent audio output, and it can work on standard karaoke components. We can testify that the Shure BLX288/PG58 is quite durable. Its interface is quite ergonomic, too. Specifically, each of the microphones has LED indicators for battery and other statuses. ​Comes with cardioid pattern for interference prevention. Suffers from distortion if you crank it to loud volumes. One of the best karaoke microphones today is the Shure SLX2/SM58. From the build down to audio quality, this device is pretty relentless. Moreover, the features it has are some of the ideal qualities that you want for your microphone. The Shure SLX2/SM58 is wireless microphone. It is perfect for outdoor events because it will never restrict your movement. Moreover, it batteries don’t dry quickly, too. We also tested its capacity to withstand interferences and we found it to be adequate. In addition, we can say that it has pretty solid defense against popping noises. It is not susceptible to interferences coming from other electrical components, too. 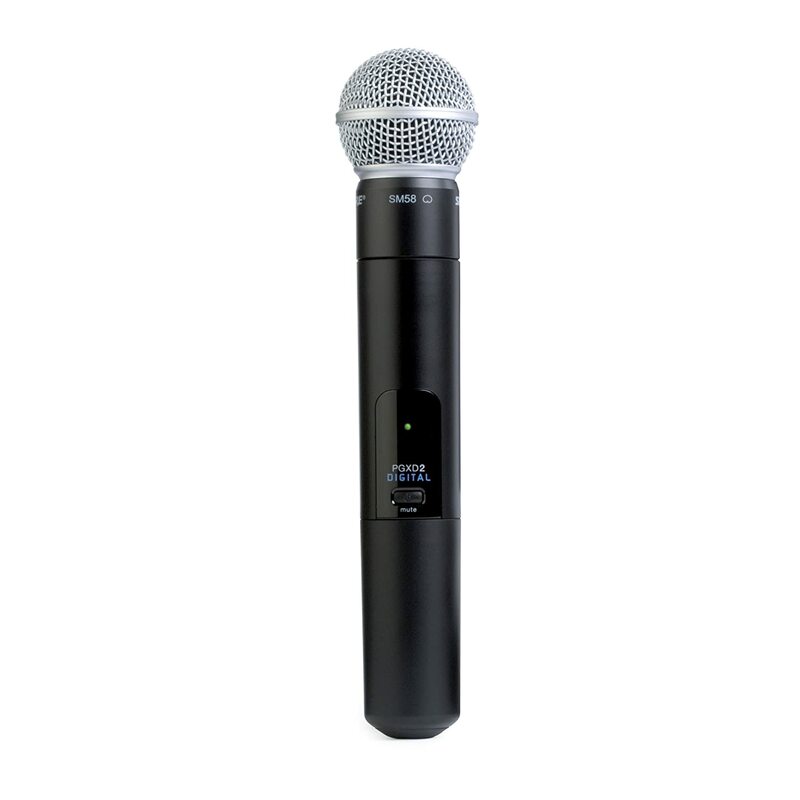 The Shure SLX2/SM58 is compatible with many karaoke systems. It is one one of the ideal choices if versatility is important to you. Meanwhile, this microphone is pretty sturdy as well. It can withstand multiple drops (but we advise you don't do that intentionally). The built-in sphere filter prevents popping noises. Compatible with many audio components. ​Frequency response is very smooth. ​It has a unidirectional cardioid pattern that prevents background noises. ​Comes with a shock-mount system. Voice reproduction is not that loud. 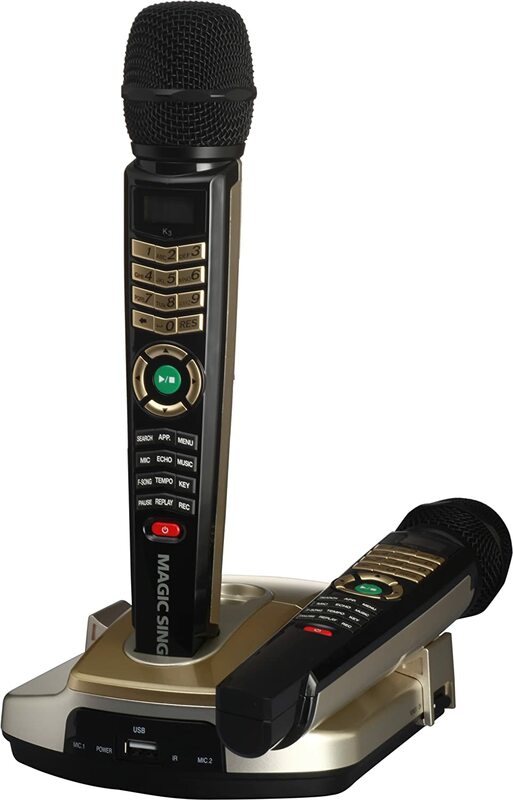 Another professional karaoke option is the Magic Sing ET23KH. This time, you are not just getting a microphone. Instead, you will get a whole karaoke system. While this sounds absurd already, the capabilities of ET23KH will impress you more. Specifically, the karaoke system itself can support HD video formats. The integrated music is also clear and mesmerizing, too. Meanwhile, this package will give you two wireless microphones. Each of them has separate controls and pose no signs of interference. Moreover, they contain at least 2,100 English songs. Therefore, you don't have to do too many setups. Once you can plug this device, you can already start singing. Furthermore, you can expect that there are no crackles that will come out from this microphone. After all, it is a device meant for karaoke purposes. Therefore, you don't have to worry anything except for your singing! It is a complete package (all karaoke accessories are present). Supports high-definition videos and movie playback. ​Comes with 2,100 built-in songs. You can only use this for singing applications. Shure PGXD24/SM58-X8 is the last candidate on this list. But it doesn't mean that it has the weakest performance. In fact, its sound quality might surprise you. The Shure PGXD24/SM58-X8 is among the best mics we tested. As a matter of fact, we just love to sing with it. Specifically, it is loud and doesn't give any crackles or unwanted noises. This microphone is also excellent in minimizing feedback. Moreover, it has a great treatment on its frequencies. As a result, it can produce bright and full sounds all day long. Aside from its durability, the PGXD24/SM58-X8 microphone's body also eliminates "pop" noises. Therefore, it is an ideal choice when you are looking for convenience. Uses unique technology to broaden its frequency range. Can be used on different applications and multiple devices. ​Minimizes feedback and interference problems. Quite thicker than the standard SM58 microphone. The sound quality of GTD Audio G-380H is something that we can't ignore. This microphone deserves to be on this list, as it gives justice to your voice (and money as well). Furthermore, It is an excellent choice for outdoor occasions and ceremonies. This is because this device works well with high-powered speakers. Specifically, it is a wireless microphone system that comes with four receivers and four microphones. Moreover, it is good to know that the batteries of each of the channels of GTD Audio G-380H has individual volumecontrols. Therefore, you can conveniently sing together with your friends and families. Of course, we like the build of this microphone. It is pretty sturdy and quite portable, too! Ideal for karaoke and studio recording. Intuitive interface (comes with LED as its LED indicators). ​Sound quality can handle large crowds. The antennas are somehow flimsy. Too loud for small rooms. 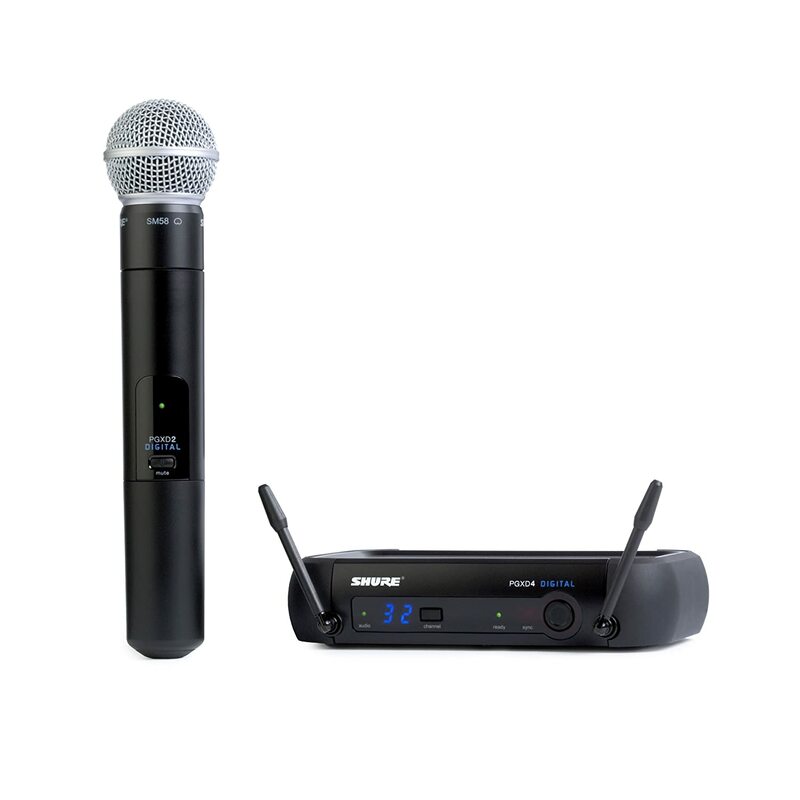 The Pyle-Pro PDWM2100 is an excellent choice for a karaoke microphone.This wireless microphone system comes with two channels for superior performance. It also got a VHF Transmission Design for smooth audio reproduction. One of the best features of this microphone is its KTV echo effect. Thanks to its dual stereo channel, this microphone can recreate live sounds from KTV! The echo reverberates warmly that you will crave for it! The Pyle-Pro PDWM2100 has a protective feature for its battery. Therefore, it can last long and will not explode. Such feature will save you from the anxiety that this device might do a wrong turn! But we have to remind you that you should only use Duracell or Alkaline batteries. It is also important to highlight that Pyle-Pro PDWM210 has multiple applications. You can even use it for recording and interviews, too! Since it is a powerful microphone, you can use it to sing along with your family and friends! Can imitate genuine KTV sounds. You should know that there is a huge difference between a condenser microphone and a karaoke mic. Specifically, these two belongs to different worlds, as they serve unique purposes. We said earlier that karaoke microphones could be used for various applications. Yes, it is true. However, you may want to use a professional condenser mic during formal usages, rather than a singing mic. It would bring better results. Excellent vocal reproduction is virtually impossible if you don't have a good microphone. Of course, we know that you have seen those mics that cost only $20. They are tempting to buy, aren't they? But if you asked us, we recommend you not to buy them, especially if you have a decent karaoke system at your home. Otherwise, you will just ruin the audio quality of your setup. But do not worry. Quality karaoke microphones are not that expensive. In fact, you can get excellent models for $100 or less. You just have to eager in searching. Fortunately, we listed some of the best options you have here. So just sit back and let us handle the rest. At this option, we have to urge that you must use wireless karaoke microphones. As we mentioned, these units bring mobility and convenience. If there are a lot of people around, wired microphones can pose a nuisance. In fact, you might even trip over them. And that could harm you and the microphone. After all, strolling is quite common when singing. However, wired microphones are also an option if you are just building a home karaoke system. Considering the space of your house and the number of people around would allow you to decide if you are getting a wired microphone or not. Moreover, we have to emphasize that wireless options are more expensive than the wired ones. If you are looking for a wireless microphone, the frequency would be a big deal for you. Specifically, you have to know the compatibility of a wireless microphone of various frequencies. Fortunately, the answer is not fixed, as it could depend on your setup. As a result, you could say that there is no huge difference between VHF and UHF. Specifically, the biggest advantage of UHF is that it has wider frequency range. Therefore, it can prevent any incidents of interferences. Moreover, UHF is quite immune to interferences coming from electrical components. Because of these benefits, UHF microphones are more expensive that their VHF counterparts. In short, if you are just looking for a stationary setup, VHF microphones can work for you. But if your setup is pretty complex or crowded, then you should choose UHF microphones. In picking a karaoke system, true diversity is important. True diversity systems come with two receivers, in which each section has its respective antennas. Specifically, this mechanism allows the unit to analyze the capacity of the receivers in selecting which of them has the best signal. Of course, the signal is essential to avoid dropouts. You need this system if your karaoke system is in a spacious room. However, if your karaoke system is in a compact space, then you can use a karaoke microphone without a true diversity system. Most of the wireless karaoke microphones today comes with multiple channels. Each of these channels has designated frequency range. 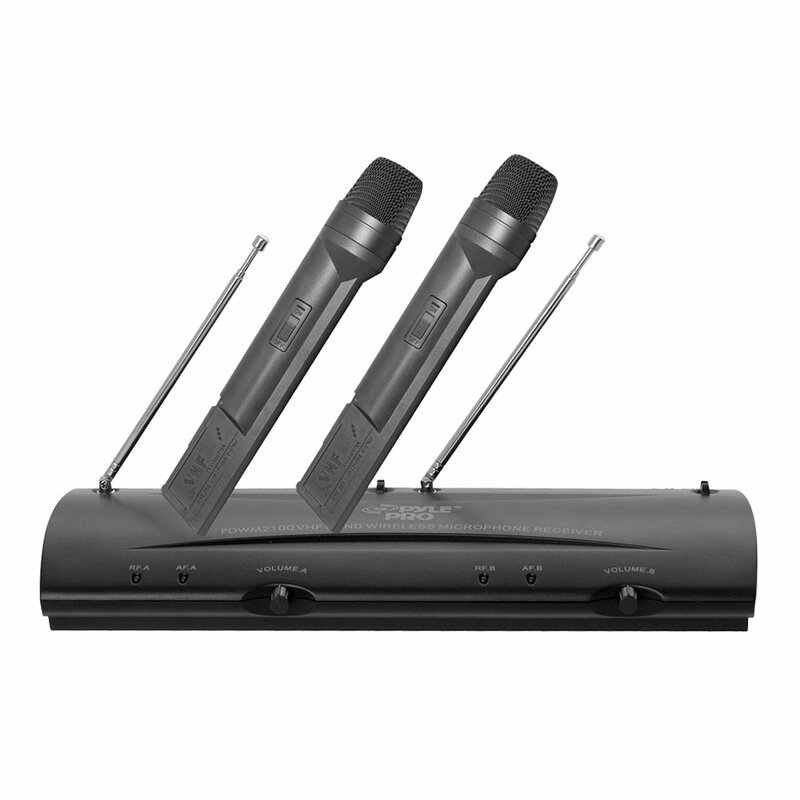 As a result, it allows you to use multiple microphones at the same time without issues of interference. This aspect is pretty optional, as you might only need one microphone. But if there are a lot of people who wants to sing with you, then this feature might come necessary. These are the key considerations in buying a karaoke microphone. Always keep them in mind when shopping for these devices. But if you want a hassle-free hunt, then we got something to offer for you. 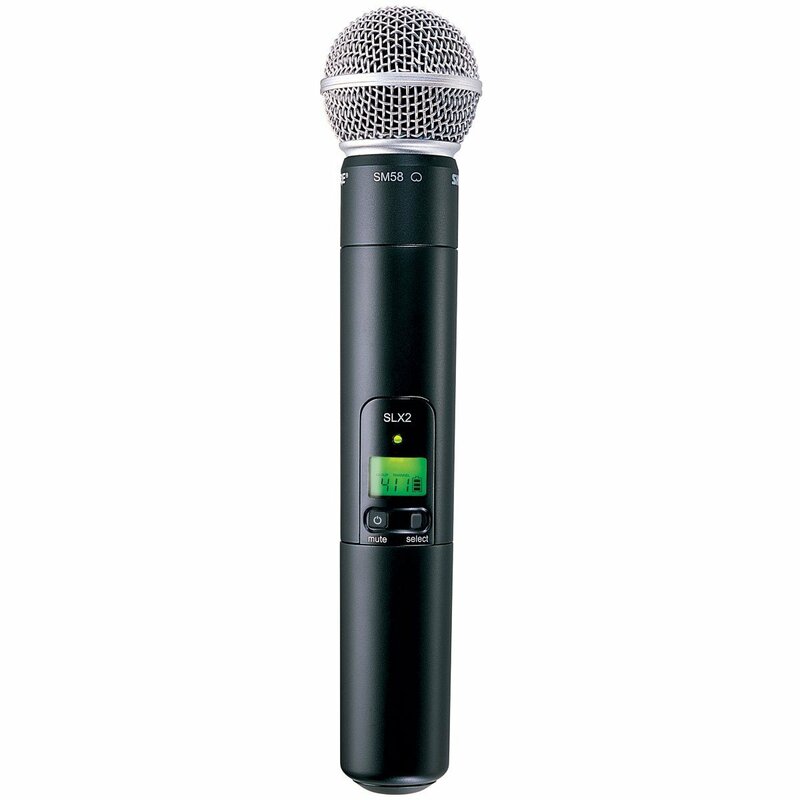 We have listed some of the best karaoke microphones in the market today. Check them out here! These are among the best options you have for karaoke microphones. Each of them has their individual features that can benefit your preferences. Therefore, Buying them would become a huge investment on your part, especially if you have karaoke system in your home. 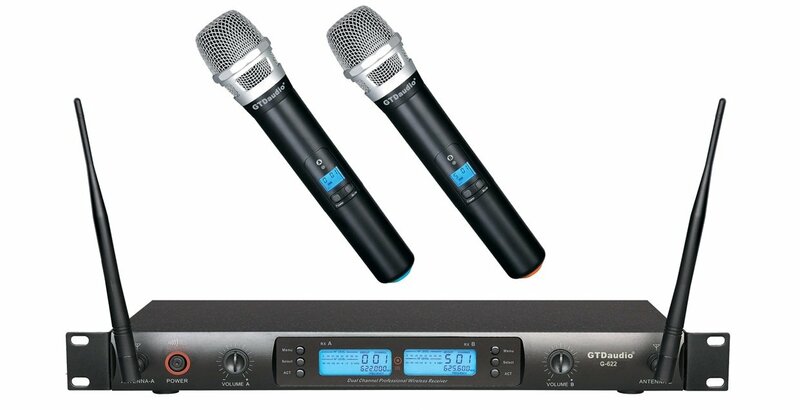 For the meantime, we declare the GTD Audio G-622H as the best karaoke microphone. It is the right choice for this particular application. The reasons for this is because of its audio quality and versatility! It is an all-rounder microphone that anyone would love to have! Do you have any microphones in your mind that would fit for KTV purposes? Tell us your thoughts in the comment section below!